Top 7 Movies you MUST See this Holiday Season! The holiday season is here! That means the touching family movies, action-packed scenes and belly laughing movies are hitting the theaters this holiday season. 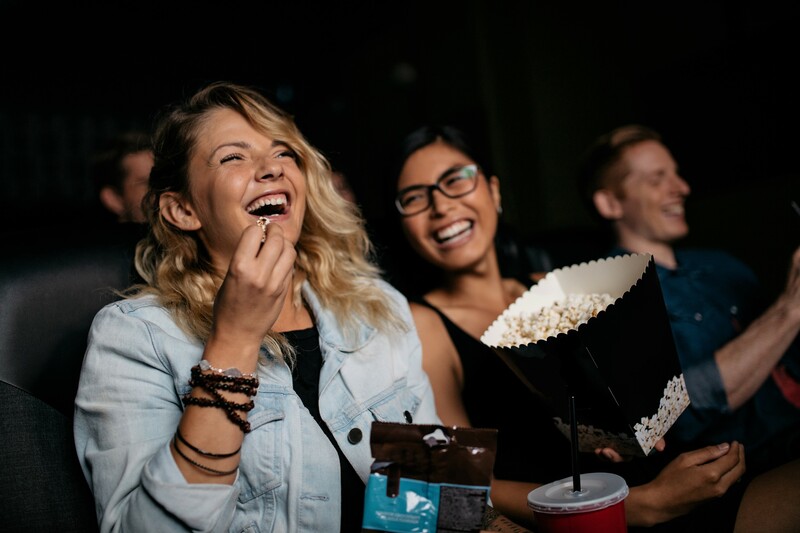 If you are not enjoying the beautiful weather outside at your Camden community or sipping a glass hot cocoa on your apartment balcony then head to the movies! You are sure to love all 7 of these movie choices! Why it is a MUST See: Bohemian Rhapsody shows the rise of the Queen and their extraordinary front man, Freddie Mercury. While Queen is in their peak, Freddie shuns them to pursue a solo career. When he realizes he suffers without them he brings the band together just in time for Live Aid and one of their greatest performances of all time. Get ready to stomp your feet and sing some of Queen’s classic hits! Why it is a MUST See: Claire Foy, from The Crown is playing hacker Lisabeth Salander in this thrilling crime film sequel. Lisabeth teams up with journalist Mikael Blomkvist to encounter a web of spies, cybercriminals and government corruption. This thriller will keep you at the edge of your seat. Why it is a MUST See: Wizarding World fans rejoice – J.K. Rowling’s next Fantastic Beasts film will spellbind you! Gellert Grindelwald has escaped and is gathering an army of pure blood wizards to rule over non-magical beings. Albus Dumbledore recruits Newt Scamander to help find and put a stop to Grindelwald. Magic, action, deception – what more could you need? Why it is a MUST See: Ralph and Vanellope are back! These best friends are on a mission to head to the internet to find a spare part to fix Vanellope’s video game. Their adventure will take them across the internet, meet new friends (even a whole gang of princesses) to help accomplish their task. This movie will surely bring joy and laughter your children and family! Why it is a MUST See: Need a spoonful of sugar this holiday season? Mary Poppins is back in this sequel to help Jane and her brother Michael, now a father of three, rediscover the joy and fun they had as children. Emily Blunt as Mary herself and Lin-Manual Miranda from Hamilton fame as Jack is sure to create a wonderful film for all families to enjoy! Why it is a MUST See: This prequel set in 1987, shows Bumblebee hiding out in a small town where a young girl named Charlie, played by Hailee Steinfeld takes him in. They soon find themselves being hunted down by the government and Agent Burns, played by John Cena. Much to Charlie and Agent Burns’ surprise, they discover that Bee isn’t the only Transformer on earth and some of them are not so friendly. This film will be a great addition to the Transformer series! Why it is a MUST See: Discover the background of Aquaman, a son of the land and a son of the seas. He must journey to the seas to battle for his rightful place on the throne of Atlantis and rule the ocean. If that is not enough, he must also unite both the kingdoms of land and sea to avoid an epic battle that will destroy millions. Aquaman will bring the action, adventure and some great hair to this awesome movie! The holidays are the time for fun, family and friends! Once you have enjoyed these amazing movies head back to your Camden apartment community. Snuggle in next to your warm fireplace and make an amazing crockpot of Shrimp Chowder in your beautiful kitchen. Relax inside our resident lounges and play a game of pool. Many holiday adventures and memories await you at your Camden community!